Beethoven's Ninth deals with "our hopes and dreams," says Spokane Symphony's Eckart Preu. At the 1824 premiere of his Ninth Symphony, the story goes that Beethoven — almost completely deaf — was unable to hear the audience's exultant applause. With his back to the Viennese concertgoers, consumed with the music audible only in his mind, he continued conducting for several measures after the orchestra had finished playing and the audience was mid-ovation. It's said that the young singer Caroline Unger had to spin him around to face the acclaim. Like many other ninth symphonies, this was fated to be the composer's last, so it's fitting that it should form the entirety of the final New Year's Eve concert for outgoing music director Eckart Preu, who's leaving the Spokane Symphony at the end of the season. He's held the role for 14 years. It's also fitting that Beethoven's Ninth should serve as a valediction for 2018. This was, even by objective measures, a year defined by increasing factionalization and rancor across the globe. The paramount wish for 2019 might be therefore found in the symphony's famous "Ode to Joy" finale, when the chorus sings of freude — that is, joy — succeeding in bringing together "what custom has sternly divided" so that "[a]ll men shall become brothers." "Be embraced, you millions!" they implore, singing in Friedrich Schiller's original German verse. "This kiss is for the whole world!" The gushing exuberance of those lines might seem hokey to a jaded ear, but the willingness to love mankind with such abandon is something to admire. That might explain why composer Michael Kamen archly wove the symphony's fourth movement throughout the score of the Christmas-backdropped action film Die Hard. "Many books have been written about the Ninth Symphony, with most of them just trying to get past scratching the surface," says Preu. He splits the continued appeal of Ninth Symphony into two parts, one intellectual and the other emotional. "First of all, there's the idea of the piece, the overarching narrative. It addresses social issues and concepts like brotherhood, friendship, survival, God. That's why it's a universally relatable symphony, because it's really a piece that deals with mankind, our hopes and dreams," he says. "And then there's the musical part, which is very visceral and direct. There's something about the music that shoots straight into your heart somehow. That's why, 200 years later, it's still here, still fresh, still challenging. 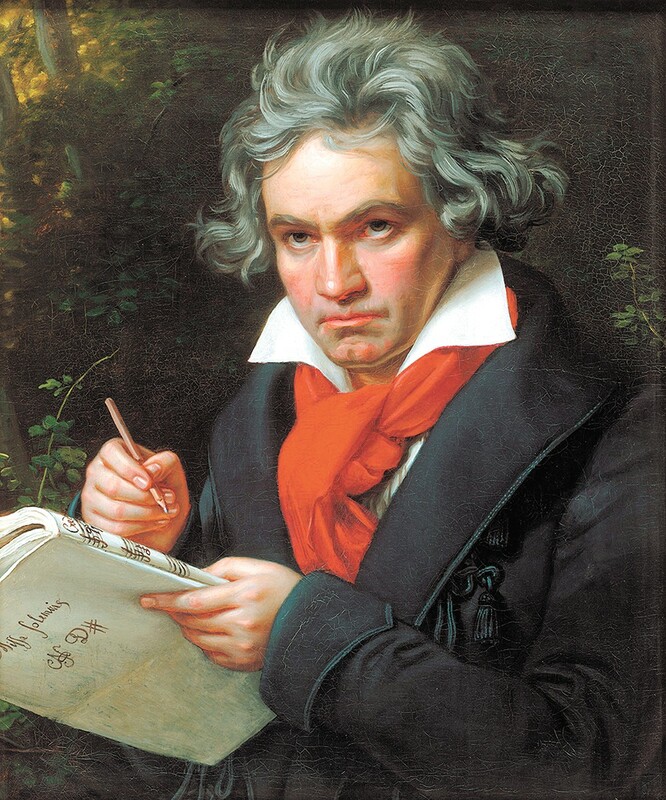 The impact of Beethoven's music is pretty much unlike anything else." Joining Preu and the Spokane Symphony for the New Year's Eve performance is Kala Maxym, a Los Angeles-based soprano. She'll be performing alongside fellow soloists Amanda Glover (alto), Christopher Pfund (tenor) and Steven Pence (bass) as well as the Spokane Symphony Chorale to realize Beethoven's masterwork. Although she and her three counterparts are billed as soloists, Maxym says the Ninth is a musically collaborative piece that "is very much a conversation between the four voices" with vital augmentation by the chorus and orchestra. "For me, this is such a musical–technical exercise, and because the quartet sings a very short amount of text, I feel like my sense antenna are listening to my other singer colleagues and making sure that we blend and that we're communicating musically in the same way," she says. "And I feel like that's quite unique to this piece. There are two sections that are maybe a minute to a minute-and-a-half each, and they are the most full-out singing that you can possibly do. You say a big thing and you're done. It's the choir that has the poetry. Honestly, at the end, they should get the bow before the soloists." The Ninth can be "extremely taxing" for all of its performers, Maxym says, yet that's exactly what makes it so worthwhile. "It's unforgiving in the best way," she says. At the same time, she urges first-time listeners to peer beyond those "bombastic moments" and the "famous, big melodies" for the subtleties that give the piece its texture. "There are these dynamic mood changes throughout, from very lyrical, soaring melodies to these sort of quiet, almost sinister-sounding patterns. Listen for those. Close your eyes and be in those moments. You can find beauty in all of it." Preu agrees, noting that the demands and rewards of the fourth movement apply to the symphony as a whole. The original print version of this article was headlined "Mountain Songs"